In the world of Sci-Fi horror there have always been two iconic creatures to terrorize humanity and make space travel a frightening thought. Before we had the seven foot tall masked hunter known as the Predator stalking his way onto the screens, there was another, more primitive looking creature that struck fear into the hearts of humans everywhere, a Xenomorph simply called Alien. With its first appearance hitting the screens in 1979, we watched the Xenomorph wreak bloody chaos on star ships and planets alike. Lieutenant Ellen Ripley was one of the few survivors in humanity's encounters with the Xenomorph XX121. We’ve watched the great Ellen Ripley battle these creatures time and again, emerging victorious from the gruelling battle against the intelligent, albeit primitive looking Alien. We have watched Ripley sacrifice herself in order to stop the creatures from leaving the planet. However, she hasn’t stayed dead. Bringing Ripley back from the dead, we saw a changed Ripley, a Ripley who seemed to have a deeper connection to the creatures she had battled all her life. But, despite her connection to them, it was still her mission to help people survive the nightmare and put an end to the creatures. But the battle against the dark, slick skinned creatures has not only been fought in space and on distant planets in the future. In a more present day setting, we have witnessed a battle between Titans occur when the Alien faced off against its enemy The Predator in the films Alien vs Predator (2004) and Alien vs Predator Requiem (2007). As much as the fans have loved the terror the Xenomorph has brought to the screen, there has always been a burning question: Where are they from? Director, Ridley Scott, who has given us these terrifying tales, delivered to us Prometheus in 2012 however; it didn’t quite give to the fans the answers they had wanted. The only appearance of the iconic creature came at the end of the film for a few short seconds before it cut to the black screen and credits rolled. Though, it clearly was not the same creature the fans know and both fear and love, they could see it was the starting of the creatures that would eventually evolve into the horrors of space from the first movie. Naturally, the ending toe the movie gave promise of further instalments to enlighten the fans on the Xenomorph’s origins and story. Alien Covenant, the sequel to Prometheus is a movie that is being eagerly awaited by the fans of the franchise after it was revealed that Scott’s creation would definitely be in it. The film will be produced by Ridley Scott, David Giler, Walter Hill, Mark Huffam and Michael Schaefer with Ridley Scott at the helm of the ship taking up the role of Director as well. The first look at the Covenant logo from the set. Michael Fassbender returns in Alien Covenant but will be portraying two roles in the film, David and Walter. Both David and Walter are synthetic androids, however, Walter is a more advance android that assists the Covenant crew. Along with the likes of Michael Fassbender, we will see Noomi Rapace returning as Dr. Elizabeth Shaw as well as Guy Pearce who portrayed Peter Wayland. The new faces to the movie will be Katherine Waterston taking up the role of Daniels, a crew member of the Covenant and Danny McBride claiming the role as the pilot. 3. So, what’s the story? "Ridley Scott returns to the universe he created in Alien with Alien: Covenant, the second chapter in a prequel trilogy that began with Prometheus – and connects directly to Scott's 1979 seminal work of science fiction. 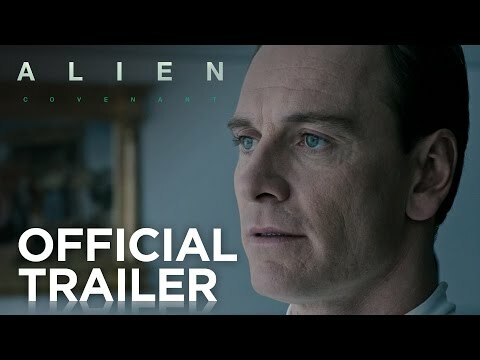 "Bound for a remote planet on the far side of the galaxy, the crew of the colony ship Covenant discovers what they think is an uncharted paradise, but is actually a dark, dangerous world — whose sole inhabitant is the "synthetic" David (Michael Fassbender), survivor of the doomed Prometheus expedition." Now, from recent Behind the Scenes stills that have found their way onto the internet, we can tell that this planet they are bound for does not look like it is going to be very pleasant. A rather unsettling scene is revealed from the set of Alien Covenant. Human corpses twisted in agony. Large tree like formations set in amongst black rock and brown grass. A definite ‘barren’ and ‘dark’ feel to the world. 4. The Aliens – What can we expect? Ridley Scott has teased that the new film will include every version of the Xenomorphs that has been created. From what we can see in the behind the scenes stills, Ridley Scott’s tease is true. A battle scene depicted between human and Xenomorph. The story is to take place ten years after the events of Prometheus. It is set to have a pretty hard R-Rating, so just like that of the new Predator movie due out in 2018, we can expect this movie to not be watered down in any way to cater to younger viewers. 7. More for the Prequel Series? Ridley Scott had indicated that he was planning two sequels to Prometheus that would then lead into the first Alien film. 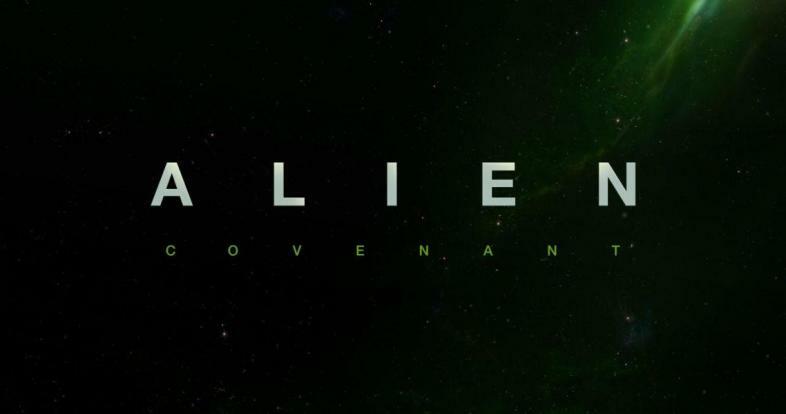 In November of 2015, Scott then confirmed that Alien: Covenant is set to be the first of three films in the Alien prequel series before linking to the first Alien movie. Scott also stated that the sequels will reveal who created the Xenomorph aliens. The Xenomorph all fans know and fear. What others will we see? Release date for Alien: Covenant is set for May 19th 2017 having been pushed up from its original release date of August 4 2017. Teaser poster released for the new movie. 10. What else is in store for us? It’s been teased that David travels to the home planet of the Engineers to find out about the creation of humanity and the acid-spitting Xenomorphs. This tease then brings to the forefront the following question: Is that where the crew of the Covenant discovers David? And if the Engineers created the Xenomorphs, why did they do it? Were these creatures meant to serve as weapons? The construction of statues of The Engineers. So, Alien fans mark the date in your calendars and prepare to be thrown back into the dark, terrifying world ruled by these formidable aliens.